China launched a Long March 2D rocket from the Jiuquan Satellite Launch Center on Friday, carrying a group of seven satellites from China, Italy, Argentina and Denmark including an innovative experiment to study the ionospheric precursors of Earthquakes to evaluate whether forecasting of strong Earthquakes will be possible from an orbital vantage point. Friday’s launch occurred at 7:51 UTC from Jiuquan’s Launch Complex 43 and the two-stage rocket was headed to the south west toward a 500-Kilometer orbit from where its payloads will operate. 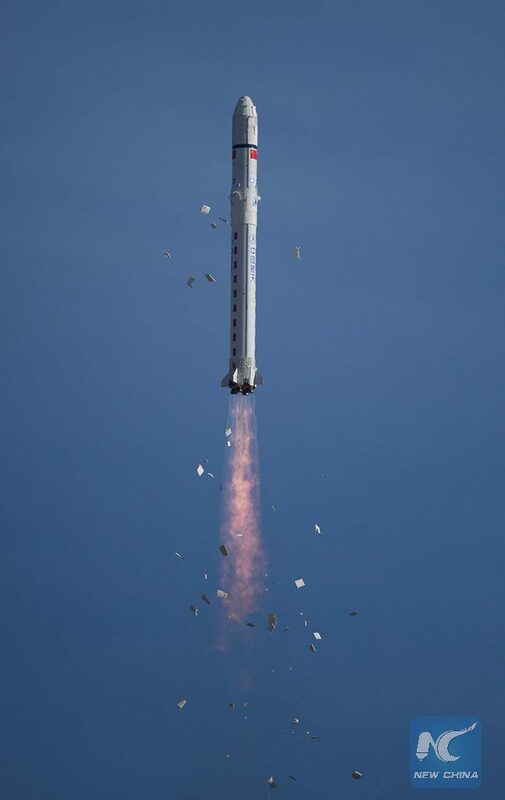 Chinese state media declared the launch successful not long after the vehicle achieved orbit and the first payload teams confirmed signals from their satellites were being received. 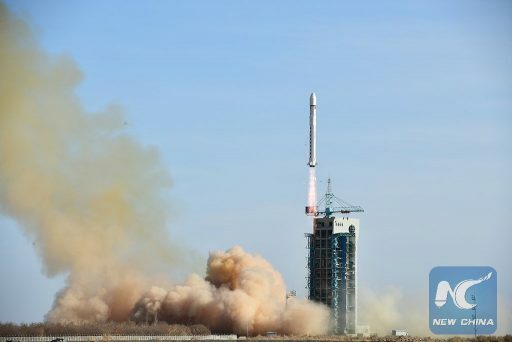 It marked the sixth orbital space launch conducted by the Chinese this year out of a total of 15 space shots already conducted around the world with China leading over the U.S. that conducted four launches so far. Friday’s launch placed into orbit the China Seismo-Electromagnetic Satellite (CSES) “Zhangheng-1”, the next two satellites of the commercial Aleph-1 imaging constellation operated by Satellogic, the GOMX 4A and 4B duo experimenting with inter-satellite communications & stationkeeping, and the Chinese FengMaNiu 1 and Shaonian Xing CubeSats completing technology demonstration and outreach missions via amateur radio equipment. 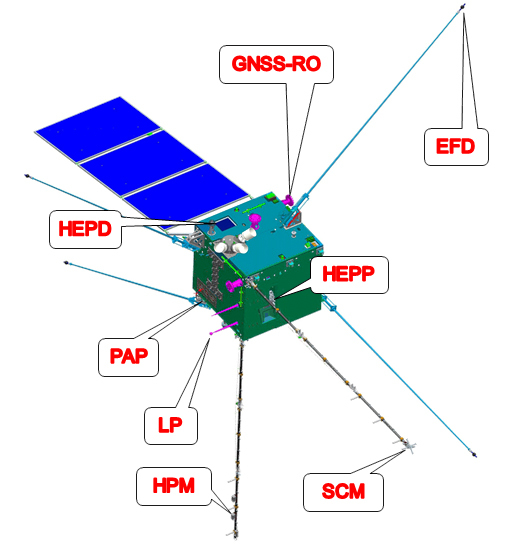 Zhangheng-1 is a 730-Kilogram, multi-instrument satellite named after Han Dynasty scholar Zhang Heng, setting out to complete a comprehensive study of the ionospheric precursors of Earthquakes using particle, magnetic & electric field and plasma sensors. 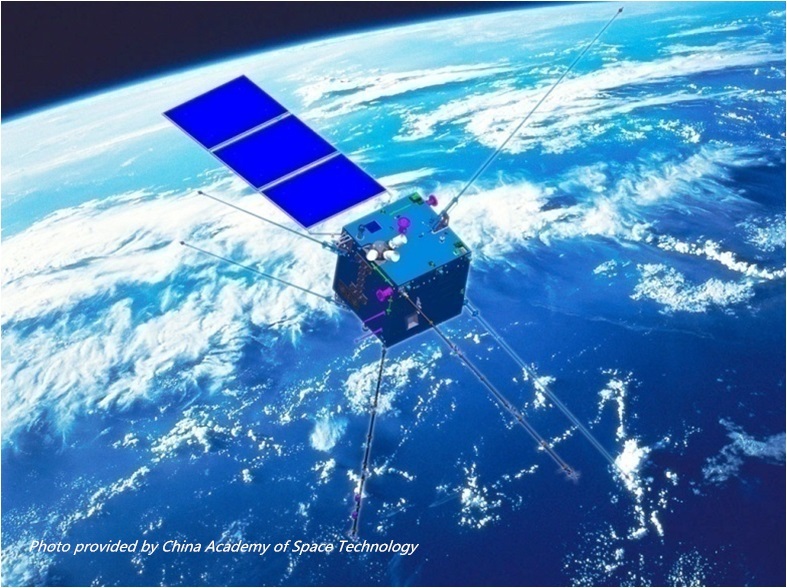 The satellite, baselined for a five-year science mission, is based on the CAST2000 satellite platform and was developed by the China National Space Administration (CNSA), the China Earthquake Administration and the Italian Space Agency (ASI) which provided the High-Energy Particle Detector instrument. The reliable prediction of Earthquakes brings the potential of saving hundreds if not thousands of lives every year, but so far only came with false starts and methodology based on flawed science. However, promising leads have been found in data from orbiting satellites that showed Earth’s crust may be giving hints before large tremors in the form of electromagnetic anomalies that will then percolate through Earth’s ionosphere up to altitudes of several hundred Kilometers where they can be detected between a few minutes to a few days before an Earthquake. But so far, these ionospheric signatures, like increases in total electron count, have only been spotted in data analysis after the fact. And even worse, the mechanism creating the electromagnetic disturbances is not yet agreed upon by scientists – making prediction of Earthquakes before they occur next to impossible without a collecting a large data set to validate hypotheses formed through laboratory testing. Scientists conducted a number of small-scale tests where they inducted stress into igneous rock to provoke the electromagnetic signature they thought came as a result of heat stress in the build-up to an earthquake. And indeed, they found the resulting electromagnetic signals match the characteristics seen in ionospheric data, pointing to the likely source of the precursor signals to be the creation of temporary semi-conducting properties in Earth’s crust. As a result of temperature stress, peroxy bonds between a pair of oxygen atoms break and the created radicals pull electrons from their surroundings – leaving positively charged holes that percolate in a chain reaction and create a wave detectable from afar. Whether it will be possible to identify the magnitude, location and time of Earthquakes in advance remains a debate within the scientific community as there are a number of critics who believe the ionospheric signals obtained to date could fall into the noise created within the Earth-and Atmosphere system. Nevertheless, even skeptics have identified further areas of study to fully explore whether ionospheric precursors are a real phenomenon. The Zhangheng-1 mission will collect a comprehensive data set on electromagnetic fields and waves, plasma and particle perturbations of the atmosphere, ionosphere and magnetosphere induced by natural sources and anthropogenic factors. This will permit a detailed correlation with the occurrence of seismic events as well as a general investigation of ionospheric structure and dynamics in response to external drivers like the influence of the sun and forcing from below (through weather systems in the dense atmosphere). The CAST-2000 small satellite platform is designed to accommodate a variety of high-performance payloads up to 600 Kilograms, providing flexibility to host different payloads including remote sensing, communications and navigation payloads. Zhangheng-1 combines nine different instruments to collect a detailed picture of energetic particles, electric & magnetic waves and plasma dynamics: a pair of High-Energy Particle Detectors (HEPD, HEPP) measure the influx and energy spectrum of energetic particles, a Search-Coil Magnetometer (SCM) and a High Precision Magnetometer (HPM) provide the magnetic field vector and field strength, an Electric Field Detector (EFD) measures the same components of the electric field, a Plasma analyzer and a Langmuir probe are tasked with the measurement of plasma disturbances, and a GNSS Occultation instrument & VHF/UHF/L-band beacon measure the column density of electrons above and below the satellite. 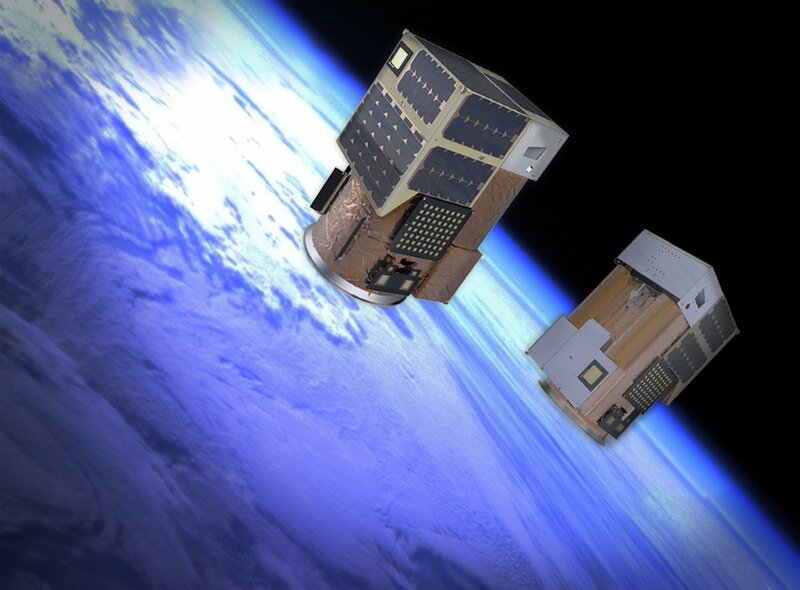 Riding shotgun on Friday were Ada & Maryam, the fourth and fifth NuSat satellites joining the Aleph-1 Earth Observation Satellite Constellation operated by Satellogic to collect multi-band imagery of Earth for the commercial market. 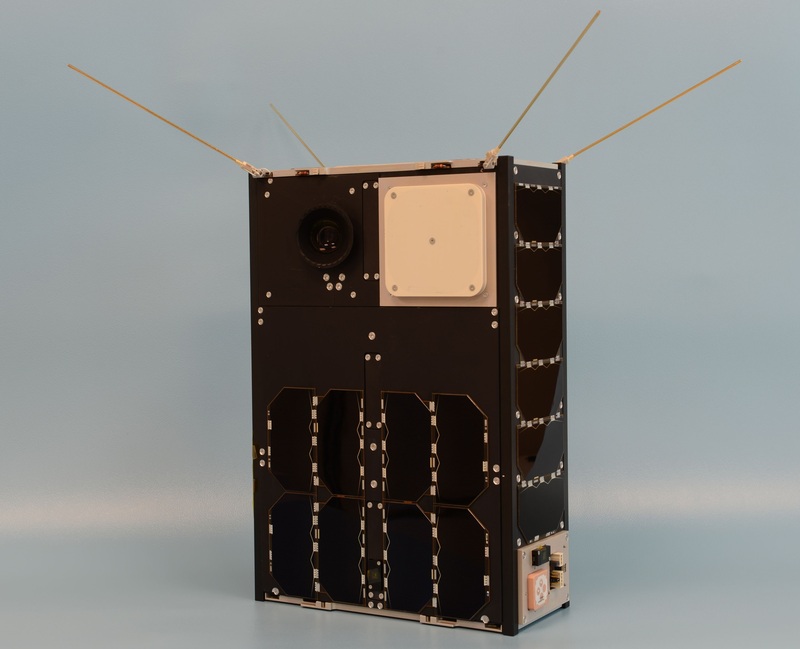 43 x 45 x 75 centimeters in size with a mass of 37 Kilograms, ÑuSat-4 and 5 host a powerful imaging payload capable of collecting panchromatic and full-color images of Earth at a one-meter ground resolution across a 5-Kilometer swath. Hyperspectral imaging is possible at 30-meter spatial and 5-nanometer spectral resolution and the satellites have a thermal infrared system for ground temperature measurements. Satellogic used the initial three-satellite constellation established in 2016/17 to validate the space and ground segment needed for a rapid turnaround of data for operational services and is now pressing into deployment of the operational constellation. 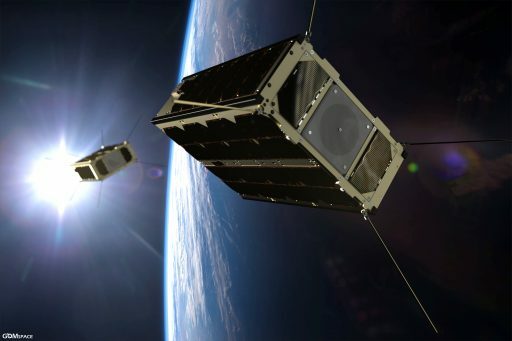 The company plans to launch up to 25 satellites that would enable a global revisit time of 1.2 hours with future proposals calling for 100- or even 300-strong constellations to further cut revisit times to only a few minutes. 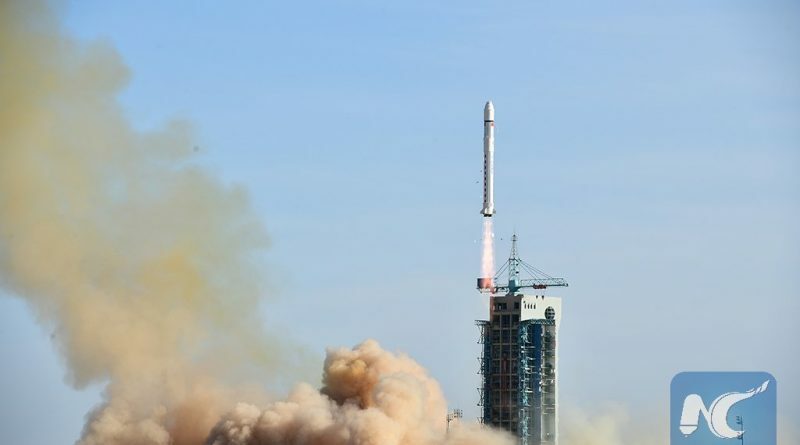 Four CubeSats were on Friday’s Long March 2D mission: the Danish GOMX 4A and 4B pair, both 6U CubeSats, and the FengMaNiu 1 and Shaonian Xing triple-unit CubeSats from China. GOMX 4A and 4B will complete an innovative technology demonstration to pave the way toward the management and operation of large satellite formations via inter-satellite communications. The two satellites were commissioned under separate contracts between GOMSpace and the Danish Ministry of Defence (4A) and GOMSpace and the European Space Agency (4B), though both will work together in orbit. GOMX 4A, nicknamed Ulloriaq – the Greenlandic word for Star, will employ an aeronautical monitoring system capturing ADS-B signals from aircraft, and a ship-tracking system using the Automatic Identification System for monitoring activities in the arctic region for the Danish Ministry of Defence while also engaging in an inter-satellite communications experiment with its near-twin, GOMX 4B. The 4B Satellite hosts four 1-millinewton cold gas thrusters fed from a Butane tank to demonstrate relative orbit control to follow the 4A satellite and set up different distances for the inter-satellite communications experiment using a software defined radio system demonstrated on an earlier GOMX mission. The same system also doubles as a space-to-ground link to eliminate the need for two separate systems and enable high-speed data downlink to the ground. Testing of the 6Mbit/s inter-satellite link will be performed at 100km intervals up to distances of 4,500 Kilometers via maneuvering by the 4B satellite using a total delta-v budget of 15m/s provided by the cold gas propulsion system. GOMX 4B also serves as the first flight mission for HyperScout, a miniature, high-performance hyperspectral imaging system for land and vegetation inspection. 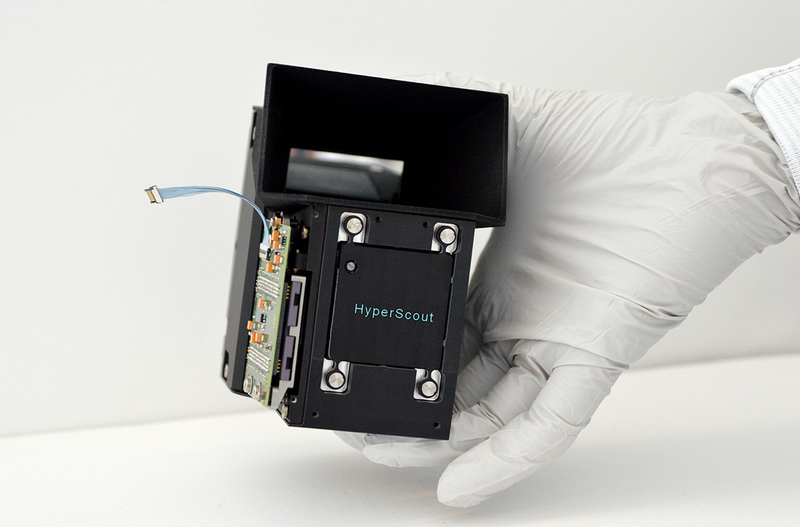 HyperScout was developed by COSINE Measurement Systems in the Netherlands and employs a miniaturized imaging system coupled with its own processing segment to go through initial data processing before data leaves the instrument – reducing the amount of downlink volume and directly delivering processed data products with consideration for missions of an operational nature. Taking up a total volume of one CubeSat unit, HyperScout collects imagery in 45 bands between 400 and 1,000 nanometers across a wide swath of 164 Kilometers and with a ground resolution of 40 meters – enabling application in various areas like land surveys, vegetation monitoring, water resource management, and early warning of natural disasters. 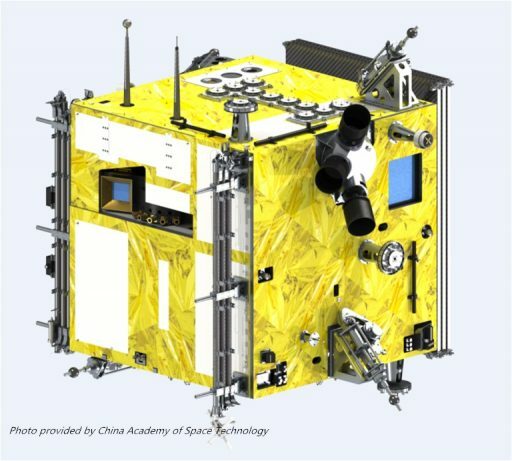 The FengMaNiu 1 CubeSat was developed by Link Space Aerospace Technology to test out a series of new components including a pair of miniaturized panoramic cameras for still image and video collection. It will also serve as a repeater for the worldwide amateur radio community. 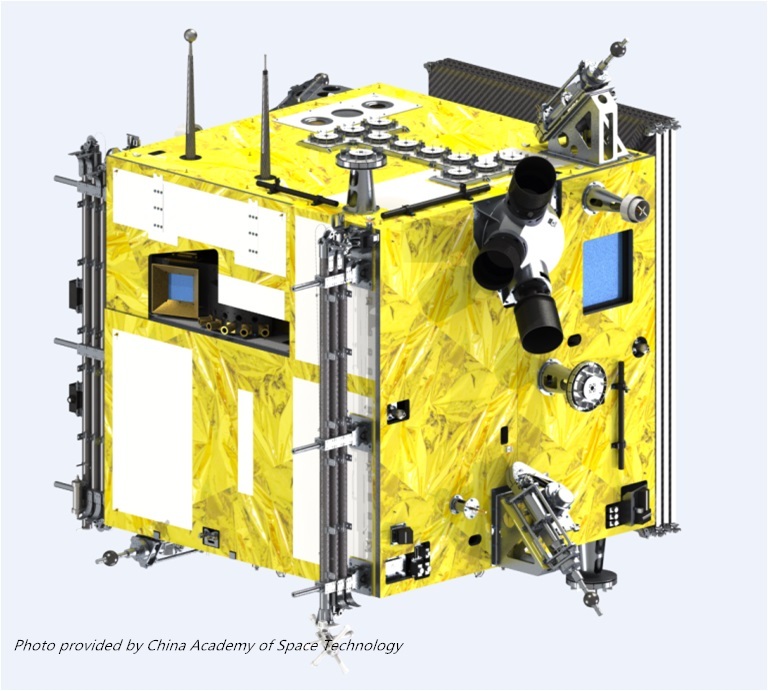 Shaonian Xing, the “Youth Star”, is an outreach mission of Sat-China to promote STEAM education and provide an opportunity to learn hands-on about satellite development and mission operations. Friday’s launch was the 266th flight of the Long March launcher family and the 38th for the Long March 2D variant that debuted back in 1992. A member of the Long March family, the 2D vehicle was designed as a two-stage version of the Long March 4 launch vehicle, optimized for Low Earth and Sun Synchronous Orbit missions. Up until last December’s partial failure, Long March 2D had kept a perfect success record. CZ-2D is a two-stage rocket standing 41.1 meters tall, 3.35 meters in diameter and weighing around 232 metric tons at liftoff, capable of placing 3,500 Kilograms into Low Earth Orbit and 1,300kg into Sun Synchronous Orbit. Both Stages of the Long March 2D use Nitrogen Tetroxide and Unsymmetrical Dimethylhydrazine as propellants. For the first 157 seconds of Flight, the vehicle is powered by its first stage, equipped with a YF-21C engine module that provides a thrust of 2,962 Kilonewtons and comprises four clustered YF-20C engines. The stage is 27.9 meters long, 3.35 meters in diameter and filled with 183 metric tons of Unsymmetrical Dimethylhydrazine and Nitrogen Tetroxide Propellants for a total weight of the first stage at launch of 192,700kg. After first stage burnout and jettison, the second stage starts controlling the flight. The upper Stage is 10.9 meters in length and has the standard CZ-2D diameter, holding around 52 metric tons of UDMH and NTO propellants at launch. The second stage is powered by a YF-24C main engine providing 742 Kilonewtons of thrust and a 47.1-Kilonewton four-chamber vernier engine for attitude control and circular orbit insertion capability. Long March 2D can be outfitted with two different payload fairings to accommodate payloads of different sizes with fairing diameters of 2.9 and 3.35 meters.